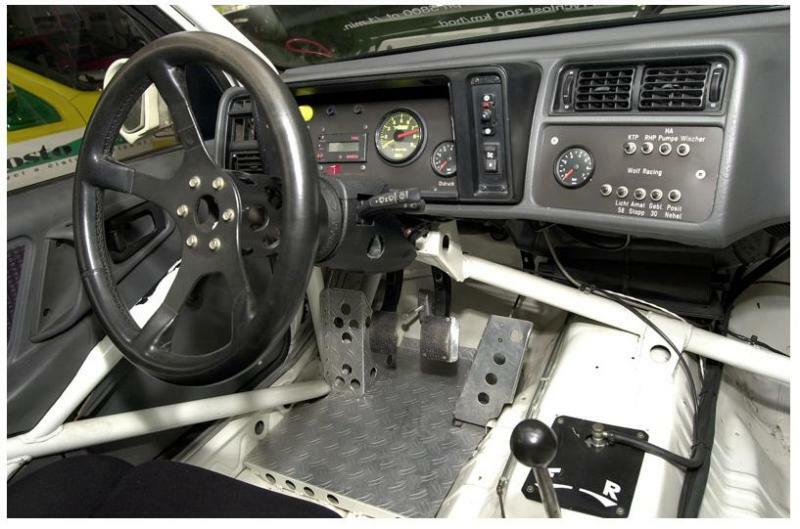 The Ford Sierra RS Cosworth was a souped up version of the Sierra, built specifically to homologate the race cars for Group A racing in Europe. They were never sold on this side of the Atlantic and it's probably immaterial because this car is located in Europe and likely not legal for street use...anywhere. 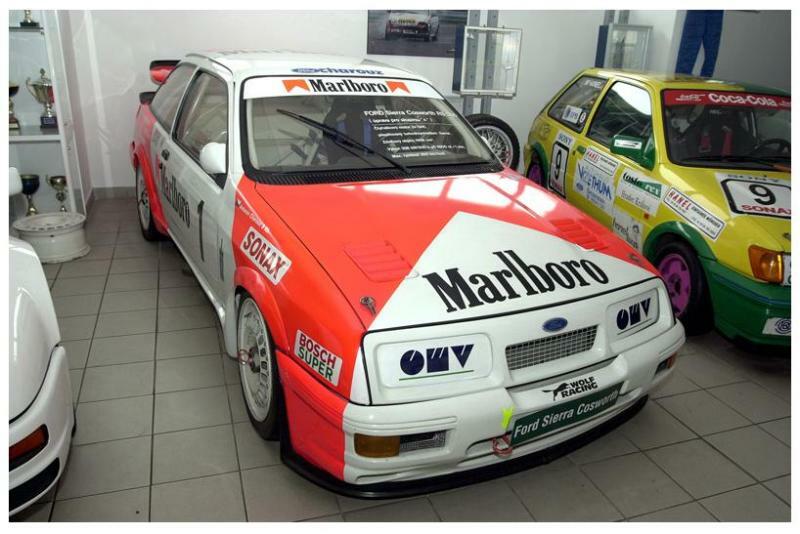 This 1992 Ford Sierra Cosworth race car is for sale on ebay, currently bidding for $16,100 and located in Prague, Czech Republic (not Czechoslovakia - that was dissolved 19 years ago). This race car is offered from what looks like a museum in the Czech republic, but very limited details are given about the car or its condition. 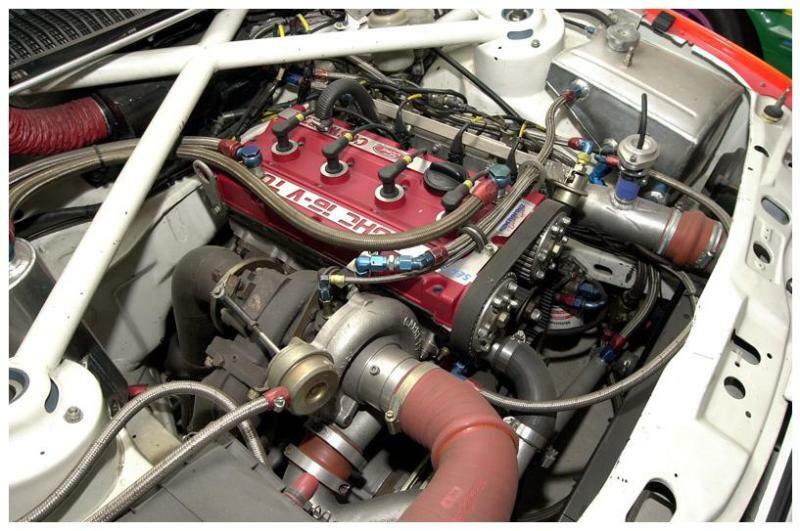 This is what a 550 horsepower 2.0 liter inline 4 looks like - force fed with a huge Garrett turbocharger. We would like more information on how much was spent and what components were used, but we will have to settle with the few photos provided on this one. The Sierra is a classic in '80s RWD turbo goodness, similar in spirit to the Volvo 240 Turbo, Ford Mustang SVO, and the Merkur XR4Ti (because hey, that's actually just a Sierra with a different badge). This race-prepped Cosworth model is just the ticket for those vintage competition junkies looking to relive some of the excitement from the days of Reaganomics and casual cocaine use - we just wouldn't recommend indulging in either of those while driving this boost-fed monster!